Samsung is currently working on several new devices that would increase the company’s lead in the smartphone race against other rivals like Apple and Huawei, and one of them could be nothing else than a gaming mobile phone. 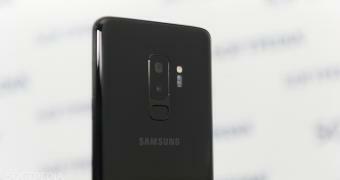 Details are still scarce for the time being, but a tweet from Samsung Mobile News, an unofficial Twitter account that occasionally shares Samsung scoops, reveals that a gaming smartphone is already in the works behind the closed doors at the South Korean firm. Technically, what Samsung may be planning to do is rely on its Galaxy series to build a device that would be specifically optimized for gaming, most likely with a larger battery and more storage. There are all kinds of speculations right now, and some believe the gaming phone could be a mysterious Galaxy phone powered by a Snapdragon 845 chip paired with 8GB RAM. Most likely.